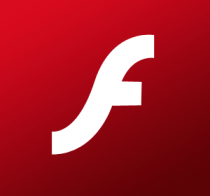 Flash support is set to end on Android after Adobe announced on its official blog that it has no plans to release a certified Flash build for Google's imminent Android 4.1 Jelly Bean mobile OS. What's more, the company actually plans to stop handset owners from downloading it from the Google Play app store altogether beginning mid-August. The move follows an announcement last November in which Adobe openly said it wanted to ditch mobile Flash in favor of HTML5, as the software giant considered that to be the best solution for browsers across different smartphone platforms. As of August 15 Flash will no longer be available on Google Play for any version of Android, although the Photoshop creator did say it would continue to offer updates for those that have ICS or older versions and have it installed after the deadline. "The Flash Player browser plug-in integrates tightly with a device’s browser and multimedia subsystems (in ways that typical apps do not), and this necessitates integration by our device ecosystem partners," Adobe wrote. There will be no Jelly Bean support whatsoever, and Adobe even went as far as to say those updating from ICS should remove Flash prior to downloading and installing Jelly Bean due to a chance it "may exhibit unpredictable behavior, as it is not certified for use with Android 4.1." It is also worth pointing out that Apple famously refused to have Flash available on iOS, although it remains to be seen what sort of effect it will have on new devices due for launch running the latest Android OS, like Google and Asus' Nexus 7 tablet. We'd love to hear your thoughts on this: Do you think the lack of Flash on devices running Android's Jelly Bean will make a significant difference for those using them?